CRG at the Swamp Stomp TODAY! 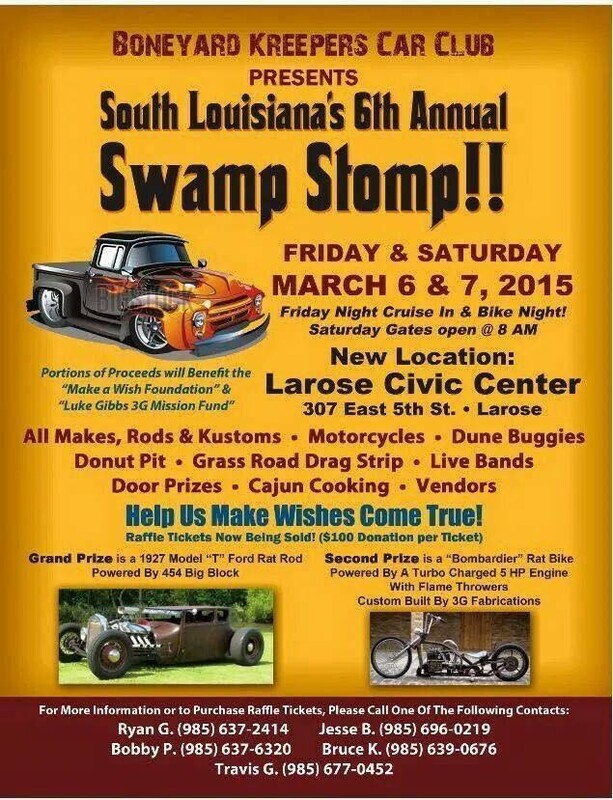 Remember to head down the bayou to the Larose Civic Center this afternoon to see your Cajun Rollergirls at the Boneyard Kreepers Car Club’s Annual Swamp Stomp! Haven Handover for Mardi Bras	“States on Skates” coming to Houma!